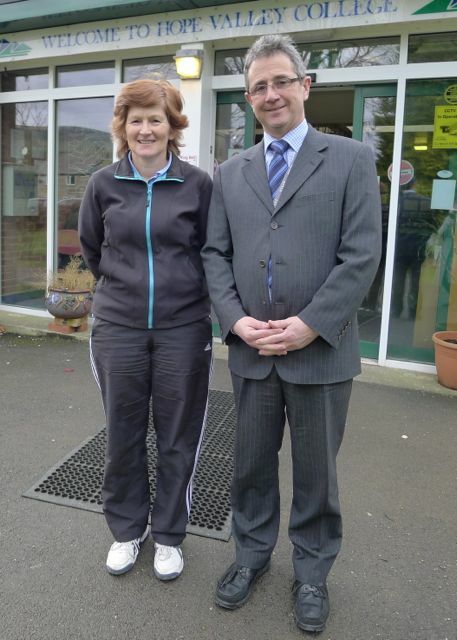 Ruth Cook has come full circle – she is a former Hope Valley College pupil and was inspired to go on to teach physical education by one of her PE teachers! She was a keen cross-country runner and describes herself as horse mad. 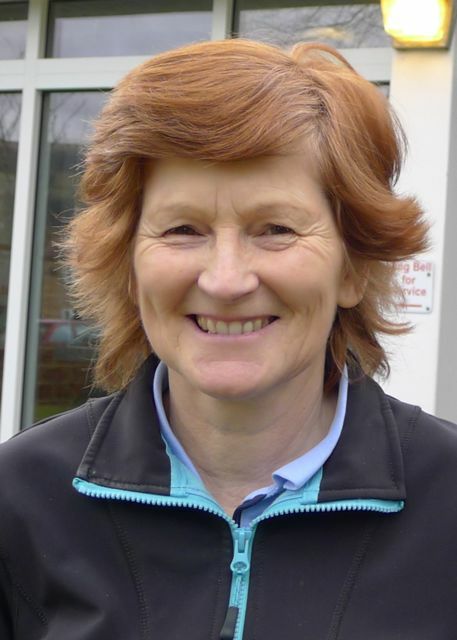 After training at Lady Mabel College of Physical Education in the country’s largest private house, Wentworth Woodhouse, she returned to teach PE herself at Hope. She then spent a decade working in London teaching in the private sector before coming back to HVC again to take up the post of School Sports Coordinator. Why is sport and physical activity is so crucial for children? Sport can set children on pathway towards a lifelong interest in keeping healthy – both physically and mentally. For me sport’s always been really important socially. When I moved to London I joined a local club to help meet people. How do primary schools get value from working with secondaries & vice versa on sports provision? The primaries really benefit from specialist teaching. We can deliver a range of opportunities that small, rural schools simply wouldn’t otherwise have. We can help teach activities as diverse as handball, rounders and gym work as well as core skills like speed, agility and quickness to build physical literacy. They’re also able to come to us and use our facilities like the new cycle track and climbing wall as well as our gym, playing fields, hard courts and equipment. What for you is the importance of the Young Leaders from secondary schools going in to primaries to coach and help run events? It’s very, very important. All our year 10 students do 5 weeks of leadership training and as part of that they visit the primaries to deliver a games festival for years 3 and 4. The kids love it because they are being taught by the youngsters. They respond so much better than to adults like me. It’s excellent. Why does it matters so much to focus on inclusion and disability – both for disabled pupils but also for the wider school community? It’s massively important. 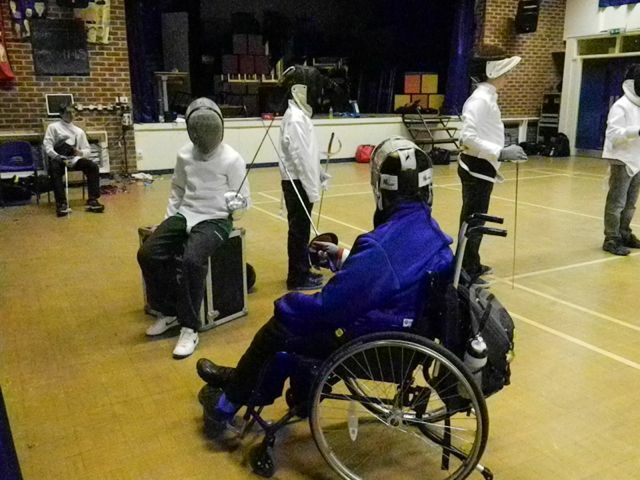 For example, in the fencing club we’ve got one student – Joe – in a wheel chair, another Will, who is partially sighted, as well as able bodied students and they all fence on a level playing field. Everyone’s got equal opportunities – that’s tremendously important. 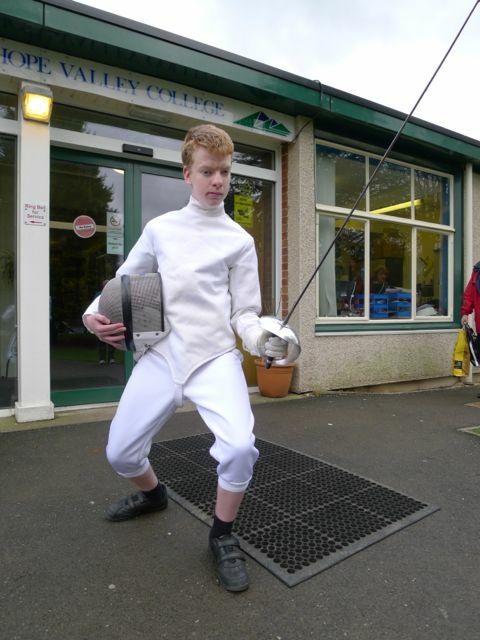 Read more about how Ruth and Will have resurrected the Hope Valley College fencing team in En Garde, Derbyshire Life, May 2013. Why is it key to help identify gifted & talented students? They’re the future and how we’ll secure the Olympic legacy. If you can identify them you can push them to get involved and set them on a pathway you’ll be able to help them achieve their potential. It’s very difficult for the primaries to create those pathways because of the lack of specialist teaching and facilities so it was brilliant to be able to identify 13 pupils from the Hope Valley and northern schools in the county to come to our Gifted and Talented camp here at Hope Valley College. It’s great for them to see students like fencer Becky Banks go through to national level competition and national cycling champion Tom Craig. We can also help provide links to clubs for them. What are the specific challenges of working in rural areas? So many of our primaries are very small. Edale primary only have 16 pupils in whole school. Hathersage is a bit bigger with about a hundred but it’s still very difficult for small schools like Grindleford, Castleton and Bamford. Ironically, even though they’re in the middle of the countryside many don’t have a field they can play games on. For some the nearest field can be half a mile away. Many don’t have indoor facilities and links to clubs in cities can be as far as 15 or 25 miles away. So there’s a big problem of isolation. So for primaries with non-specialist teachers it’s good for them to be able to benefit from my expertise. But beyond that, it’s also about bringing all the pupils from the different schools together to create a sense of cohesion, especially at our festivals. Sport’s a great leveller – they can all come and join in and it means they get to play with pupils of similar abilities. How important is it for schools to build links with their local communities and sports clubs? It’s really important, it’s part of our ethos that we listen to our Student Voice and accommodate what we can. It’s often difficult to find coaches because of our rural location but we’re very inclusive and we like to include a lot of alternative sports here like climbing, fencing and OzBox and we have a fitness suite as well as the mountain bike track. Quite a few local communities have been able to raise funds for facilities and have formed sports clubs. For example Bradwell now has an all-weather astro-turf pitch. There’s stacks of things happening in places like Grindleford and Eyam and Hope have just secured funding to improve their facilities. So it’s great to be able to link the primaries to local clubs. For example in Hope I helped four Mums set up a netball club and gain their Level 2 coaching qualifications – they’ve now blossomed and there’s a strong athletics club who come and train at the college. It has all been brilliant but for the past few years I’ve taken the primary schools over to the English Institute of Sport in Sheffield for a joint sports day on the indoor track. Last year Jess Ennis was over on the far side of the arena training and it was wonderful to see the children’s faces when she walked over towards them. They couldn’t believe they were doing sport alongside an Olympic star.